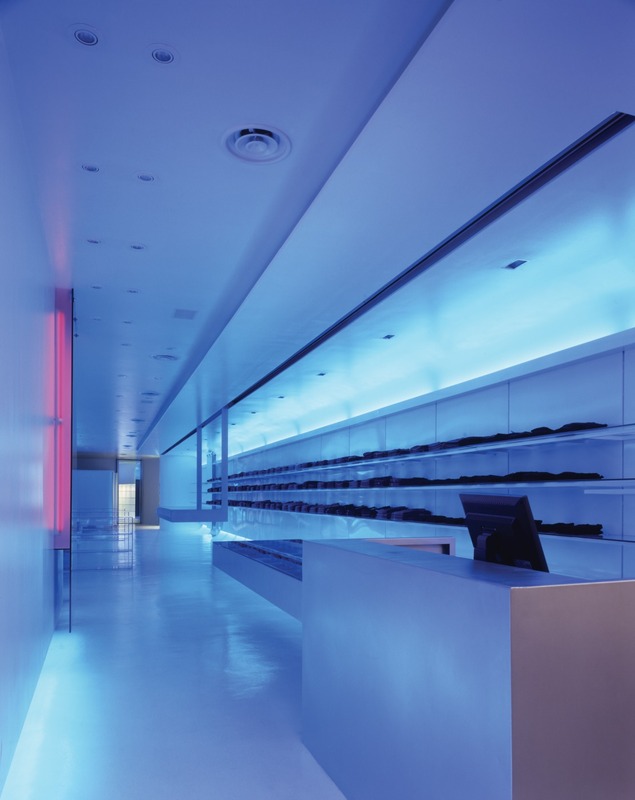 Located in uptown Toronto, TNTBlu represents a new retail concept for TNT, a boutique specializing in denim and casual wear. A long and narrow 1600SF space, TNT Blu is finished entirely in white with epoxy floors and glossy surfaces creating a cohesive fluid form. 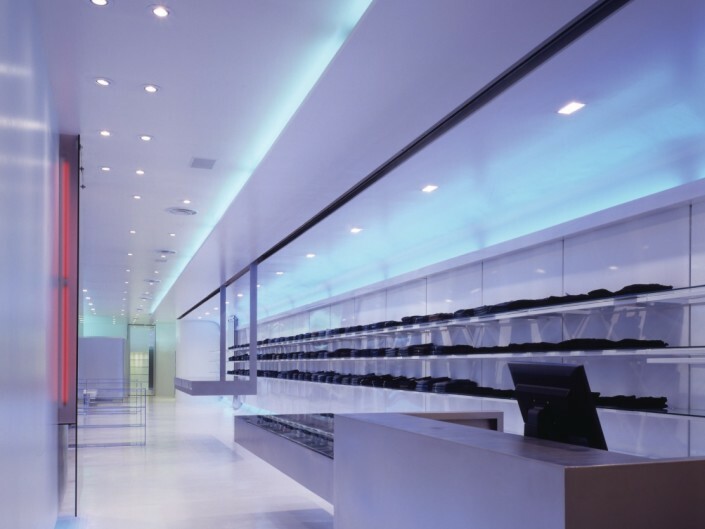 A dramatic cantilevered cash desk and denim bar suspended from the ceiling articulates this fluidity as the denim bar detaches from the cash desk and slides along the length of the retail area. 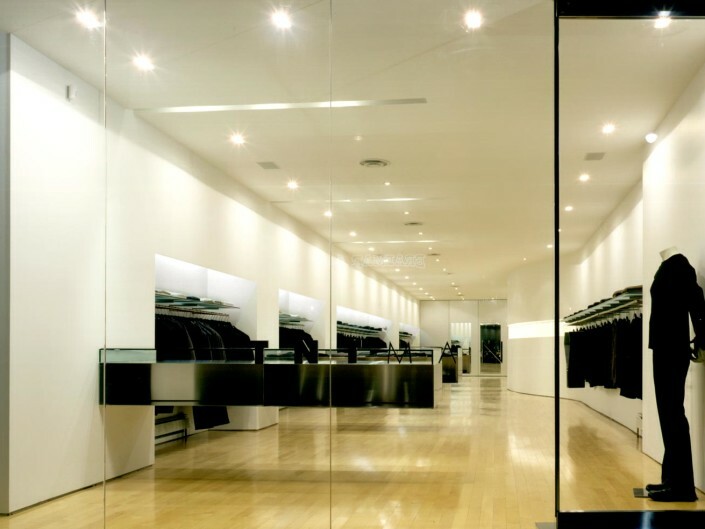 Creating a constantly transforming space, the denim bar is used as a functional and moveable work surface for folding and the feature of selected merchandise beneath glass. 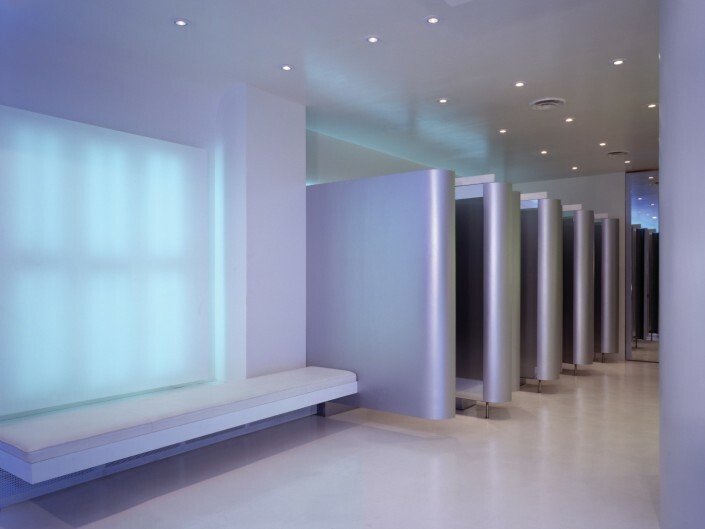 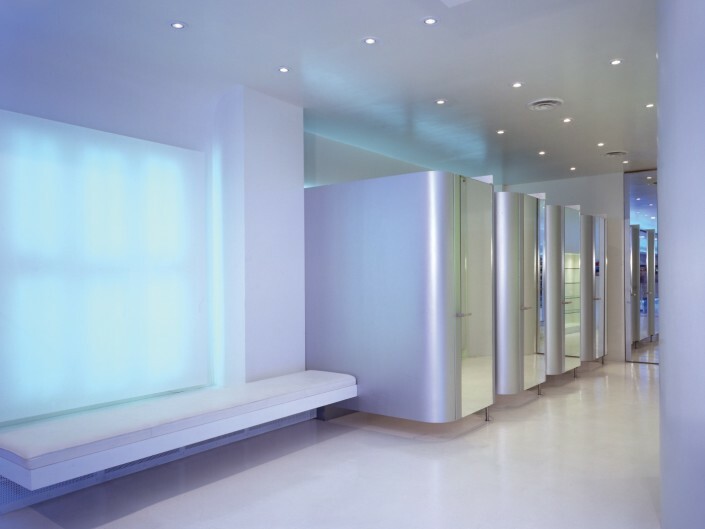 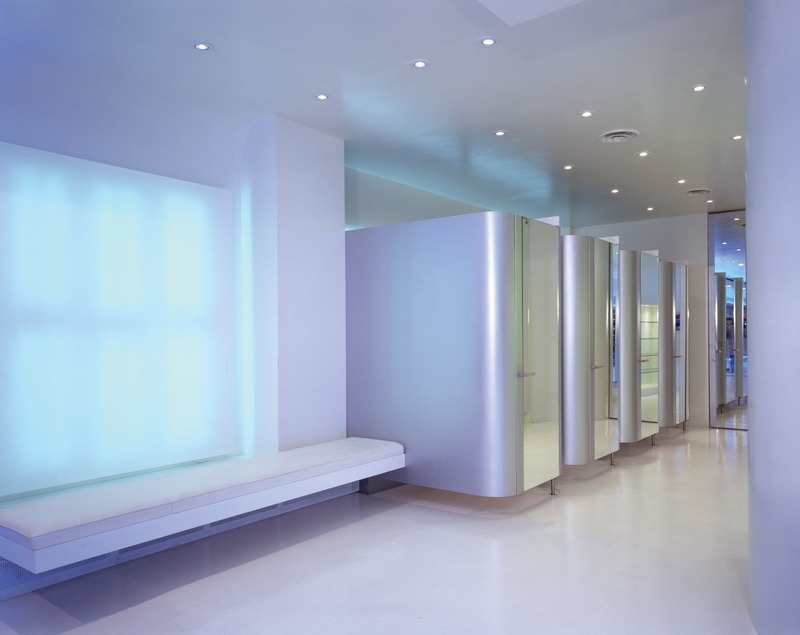 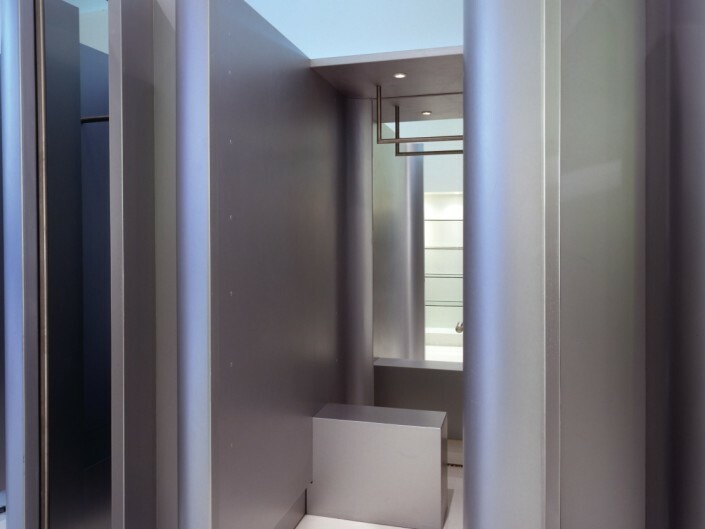 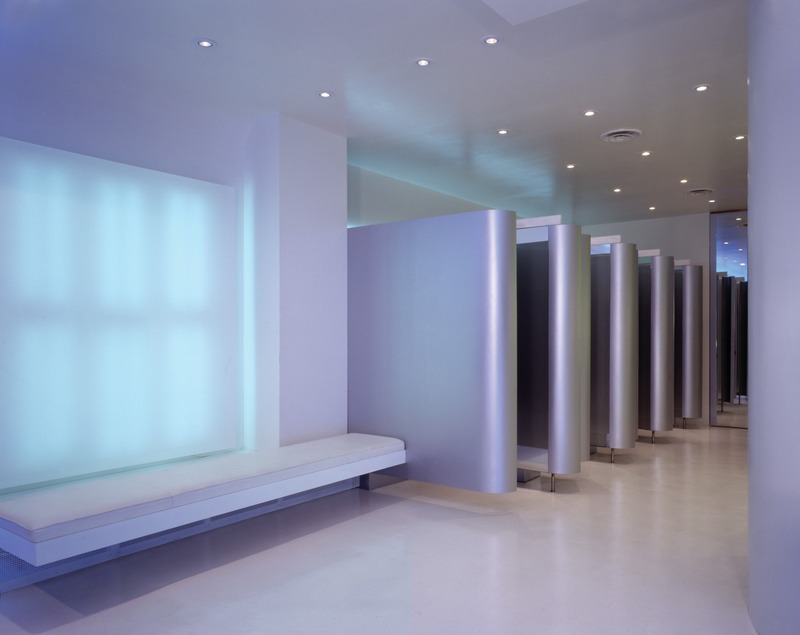 Highlighting the futuristic aesthetic concept of TNT Blu, the change rooms are designed as capsules – fluid forms that transform as doors open and close, providing interest through undulating repetitive patterns. 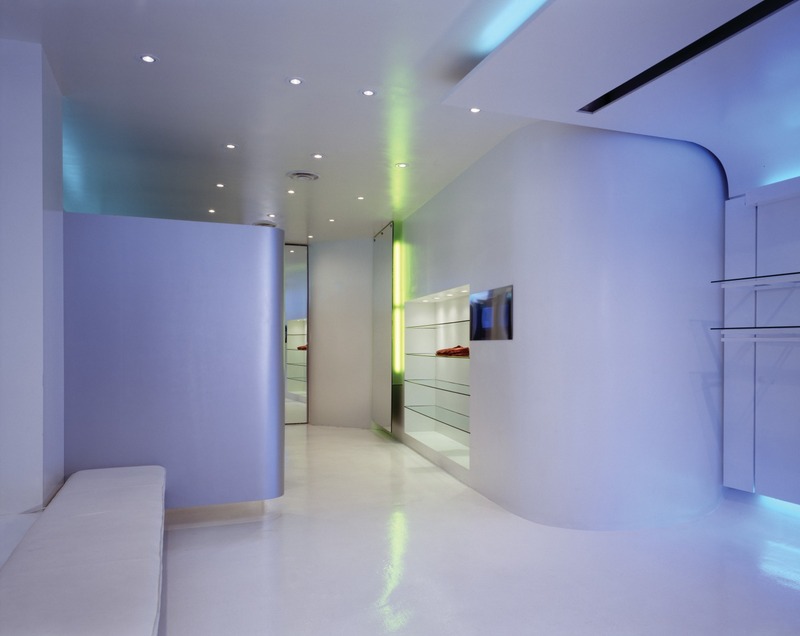 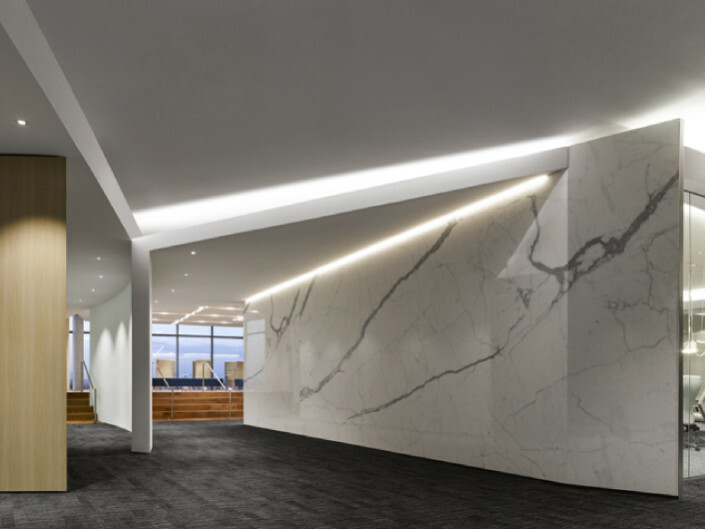 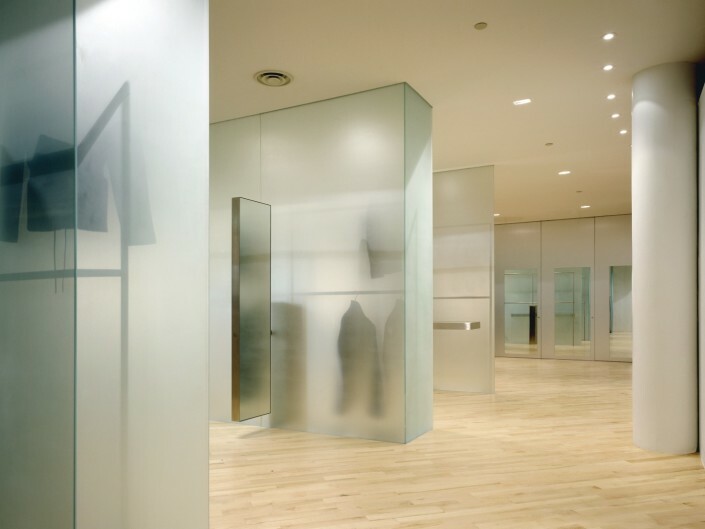 With walls conceived as blank canvases, light is ‘painted’ onto the walls, floors and ceiling surfaces, an integral part of the design functioning in tandem with striking colour accents. 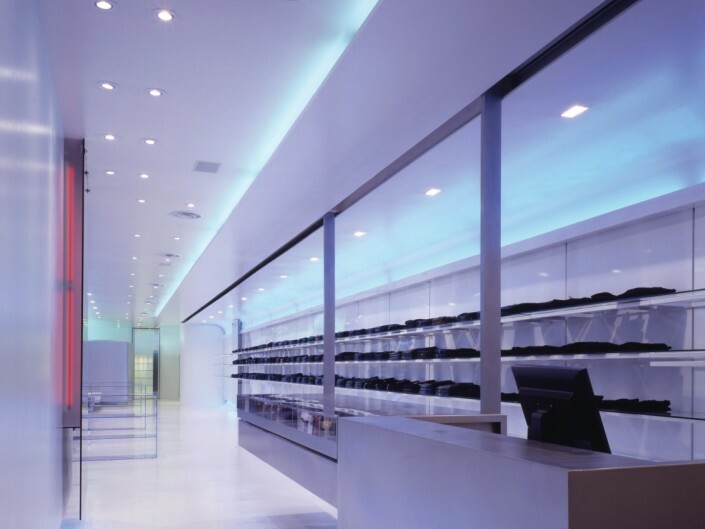 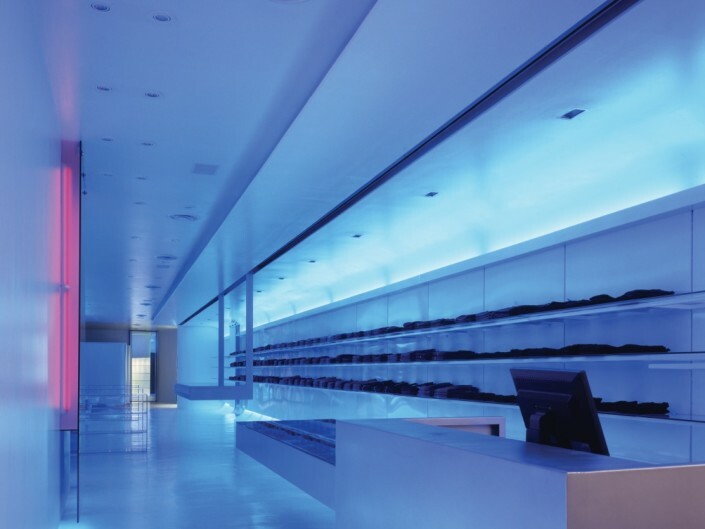 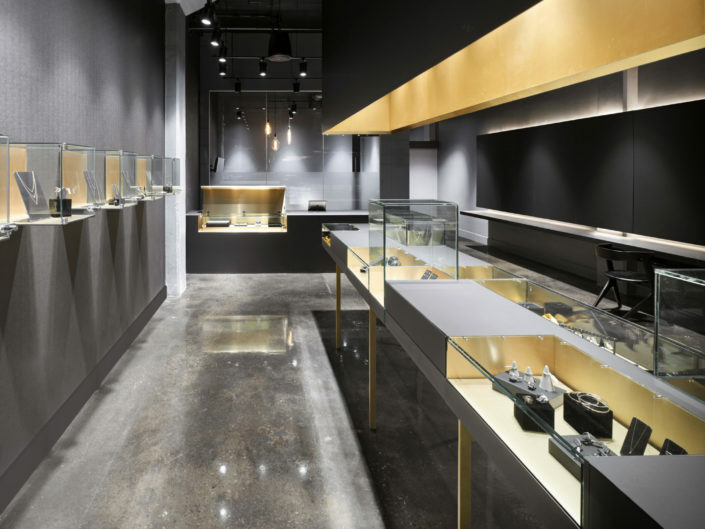 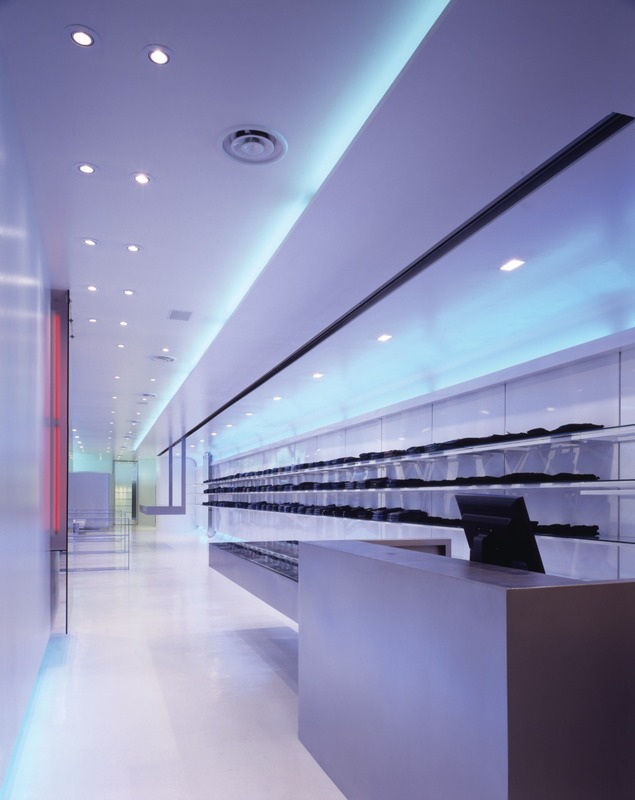 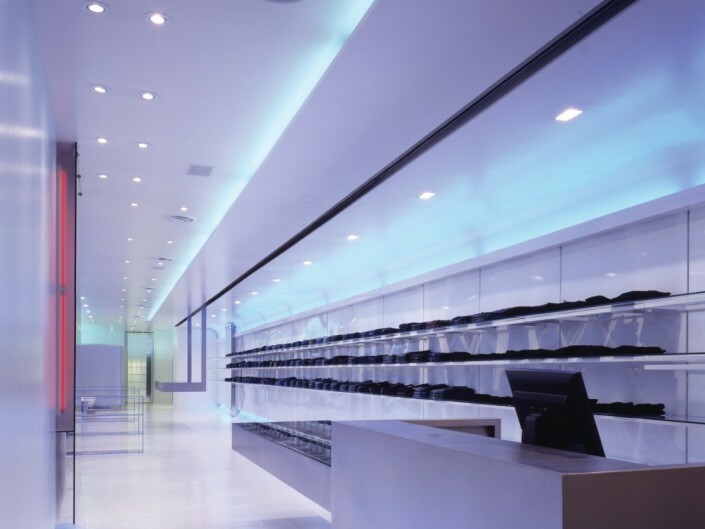 Lighting exploits the store’s ever-present exposure to the street, transforming from a stark white space during the day to a provocative blue glow as night falls, resulting in a boutique that entices even when closed.